I gave my son and daughter each new quilts for Christmas this year. It was a bit of a panic to get them done on time. I was putting on the binding the Saturday before Christmas but was done with two days to spare! 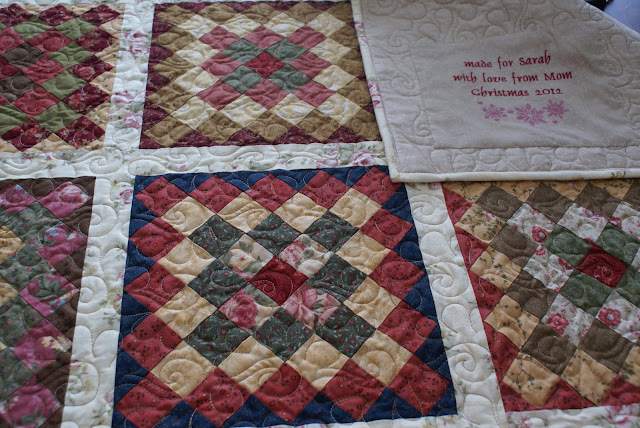 These quilts were my final two finishes for 2012. 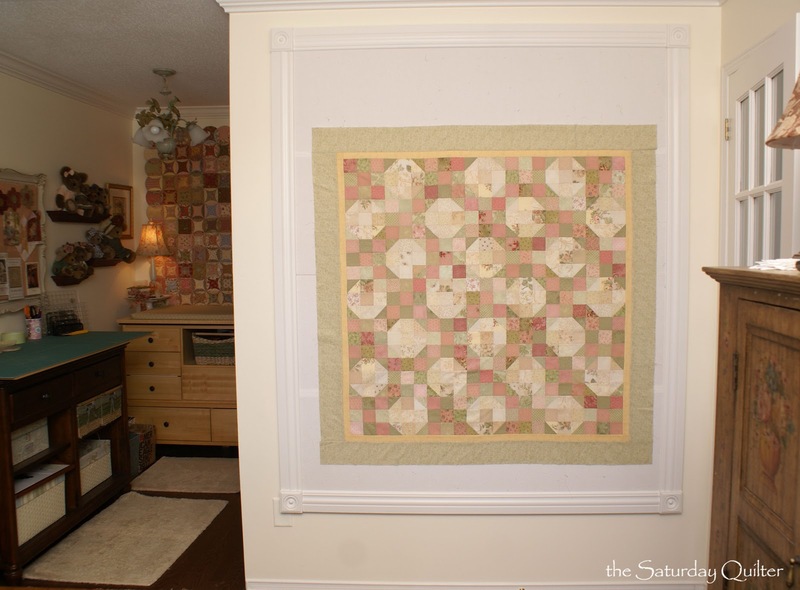 My first quilt project of 2013 is this scrappy little quilt I finished piecing today. 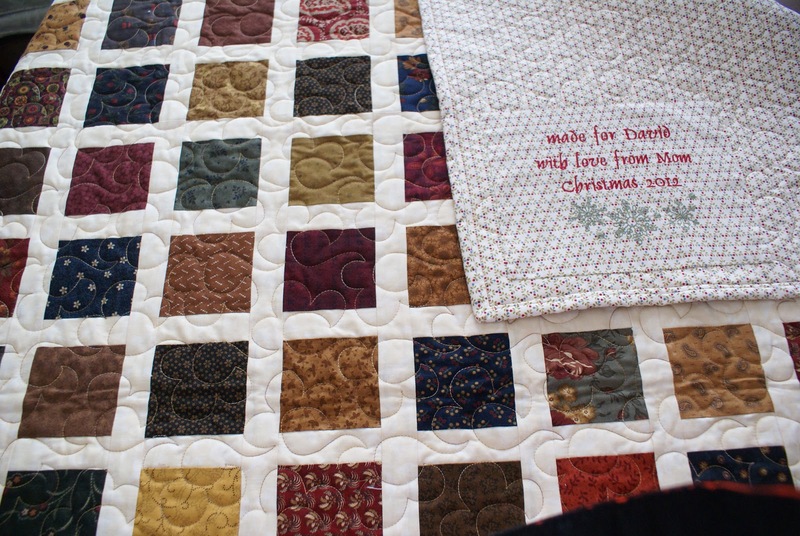 I am off work the rest of the week so plan to have this one quilted before I go back next Monday. I love being able to spend so many uninterrupted days in a row in my sewing room. 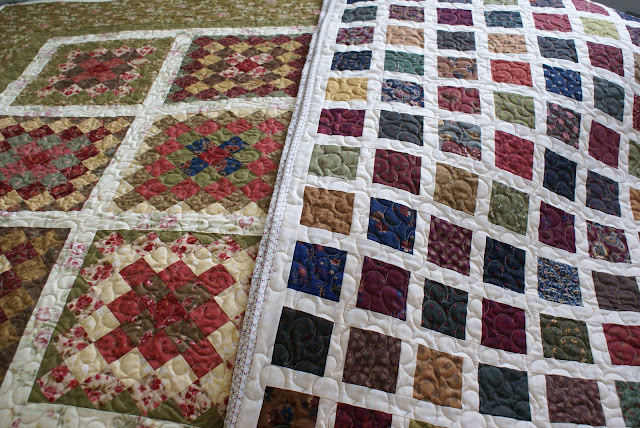 I hope you too are having a very quilty start to the new year. I love the quilt mom, thank you so much!